TorqForce Performance Torque Converters – The No-Compromise Converter for High Performance Street, Towing applications. With Diesel engine high torque performance, high-load situations, the torque converter must multiply the torque at low engine RPM to get the truck moving and then the lock up clutch must hold on in peak demand. BD’s TorqForce torque converter was specifically designed to handle the kind of punishment you dish out. Built on our premises in a state-of-the-art facility, BD TorqForce converters feature a billet steel cover that doesn’t flex and provides better heat distribution from clutch friction than the stamped steel front stock cover. We install a drain plug for ease of maintenance and replace the plastic thrust with a Torrington bearing. 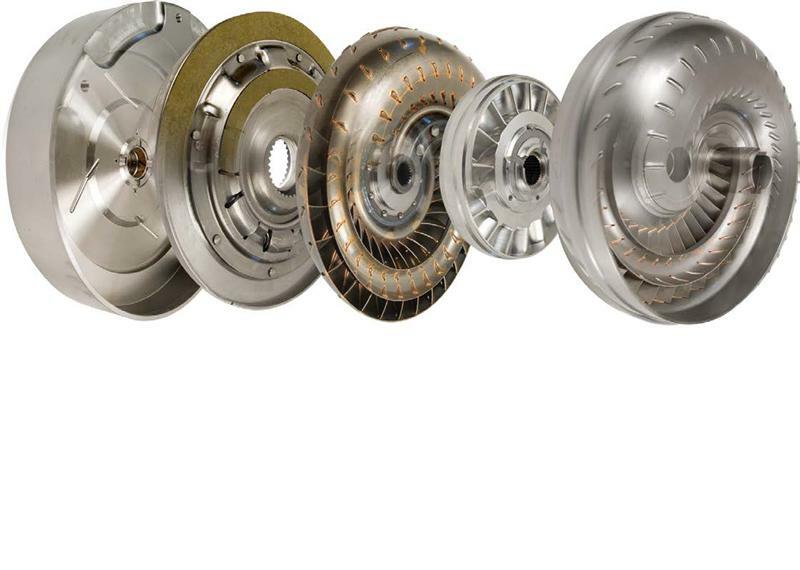 We offer both a single piston lock up clutch and a triple piston clutch design for those extra modified engines to provide firm holding power with a commanding engagement. Furnace brazed fins and stator design maximizes the low-speed torque characteristics that the V8 diesel engines have produced over the years. Each assembly is balanced and the overall heights are verified. On the street, you’ll notice that fluid stall or coupling speed is reduced significantly, resulting in more positive engagement in drive, enhanced low-speed drivability and better fuel economy. You’ll appreciate that the TorqForce is designed to handle up to 900 lb.-ft of torque and the Triple Torque force will handle way beyond that.